Warning: this review contains multiple spoilers for The Walking Dead Season 9, Episode 16. The Storm was bitterly cold, and so were the emotions of those who had to endure its brutal winds and harsh temperatures. Throughout the episode, people’s hearts and bodies warmed, with the cruel weather forcing them to turn to each other for both physical and emotional comfort. 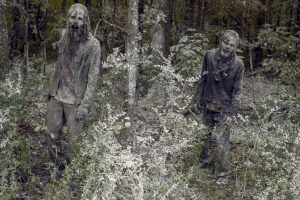 The survivors have been in the Alexandria, Virginia area for 8 years or more, so they have lived through winters in this region before. However, winter is not severe in this part of the US, with 15 inches of average snowfall through the entire season, and average daytime highs well above the freezing point. A storm such as the one depicted in this episode would be of the ‘100 year’ magnitude, and be something none of the survivors from this area had likely seen before. The cold was dangerous enough to destroy the already-weakened pipes and buildings at the Kingdom, forcing its population to seek shelter at Hilltop. The extreme cloud cover knocked out the power at Alexandria (despite their solar capabilities) and the people there had to use fireplaces to keep warm. Conditions were similar at Hilltop. Whiteout conditions and temperatures low enough to freeze lakes are difficult enough to endure using modern luxuries, but in the apocalypse they would become life-or-death events. 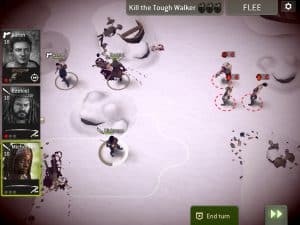 Into this storm comes the personal drama that is still being resolved in the wake of Alpha’s attack. Alden was especially nasty to Lydia, which is somewhat surprising, given that he should know better. Yes, he is obviously devastated by Enid’s death, yet a few years ago, the shoe was on the other foot. Alden was the one who came to Hilltop as a Savior, asking a vengeful Maggie for a chance, despite Negan’s brutal murder of Glenn. 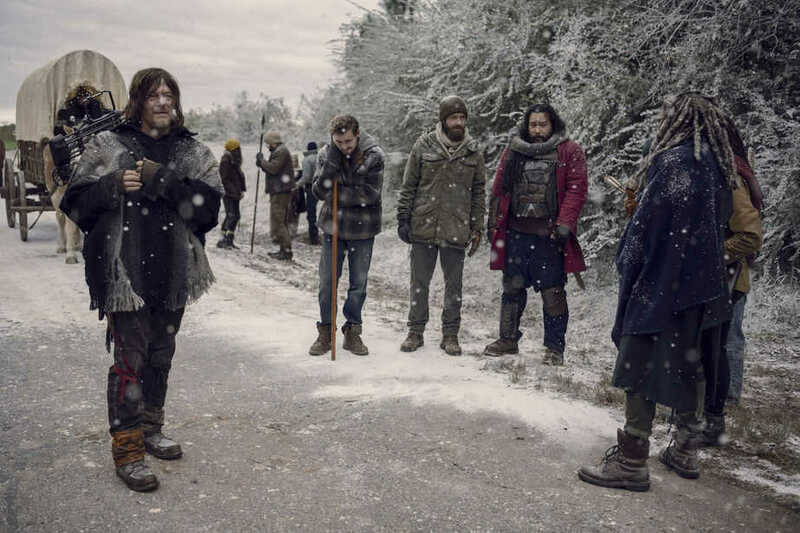 At the time, Alden insisted that although he and his fellow prisoners had been led by Negan, that didn’t mean that they were all like Negan. It is ironic that Alden can’t give the same consideration to Lydia that Maggie gave to him, understanding that Lydia is not necessarily like her mother. Lydia is clearly suffering from depression, which is something for which there is little room in the apocalypse. She has burned all bridges with her mother, and yet, because of what Alpha has done, Lydia feels that she also cannot stay with the people who took her in. It is no wonder that she contemplates suicide, yet she still has enough presence of mind to not be able to go through with the act. 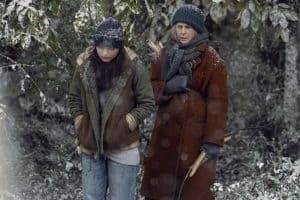 Carol, while devastated by Henry’s loss, understands Lydia’s pain, because she has gone through similar depression herself over the years, at times also wanting to die . Unlike Alden, Carol demonstrates a lot of strength of character when she reaches out to Lydia, refusing to kill her, but instead bringing her back into the fold. Despite this, I was very disappointed by Carol’s separation from Ezekiel. Yes, Carol lost a child, but so did he. She should be working with Ezekiel to deal with her pain, not pushing away the only man who can share in her burden. Instead, Carol wants to run away to Alexandria. I can understand this happening, but in the space of the show it felt rushed, like it was only done for fan service, so that ‘shippers can dream about a future for Carol with Daryl. People do grow apart, but Carol’s decision to leave Ezekiel appears to have come on very quickly. 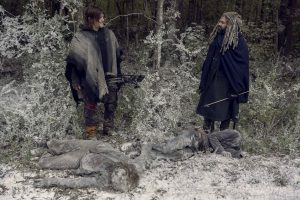 I would have liked to have seen her reaching out to Ezekiel and leaning on him for support, rather than isolating herself. Carol, of all people, should understand that isolation isn’t the way to survive. In all of this, Daryl is being extremely solicitous. 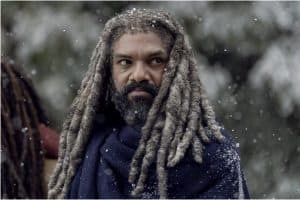 He understood what Ezekiel was saying when the King wanted a private talk, and he respected Carol’s boundaries, asking what she wanted, and simply offering to help her with it. I don’t see anything romantic between them (if there had been those kinds of feelings, they should have emerged long ago, when they were traveling together, before reaching Alexandria) yet it is clear that there is a deep friendship and understanding between the two. It was great to see Negan ‘back in the saddle’ in this episode. His teasing with Judith regarding language, his comments about Gabriel being ‘the father, but not the father’ and the ‘love quadrangle’ were bright spots in an otherwise dark episode. It is clear that his incarceration has done nothing to damage his wit, or his ability to see to the heart of the matter when it comes to evaluating people. Yet the better aspects of his personality are surfacing. When Judith ran off into the storm after Dog, Negan did not hesitate in going after her. Even more, no one else went after Negan. They all knew that Negan was the best chance of rescuing Judith, and they understood that this was what Negan was going to do, that he wasn’t simply going to take this chance to disappear. 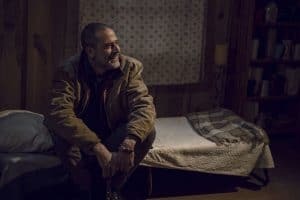 This says a lot about how the Alexandrians, even those who have every reason to hate Negan for his past actions, understand that part of him has changed for the better. While Negan will never be ‘completely rehabilitated’, he does care for others and is willing to risk himself for them. The underlying theme of this episode was togetherness. 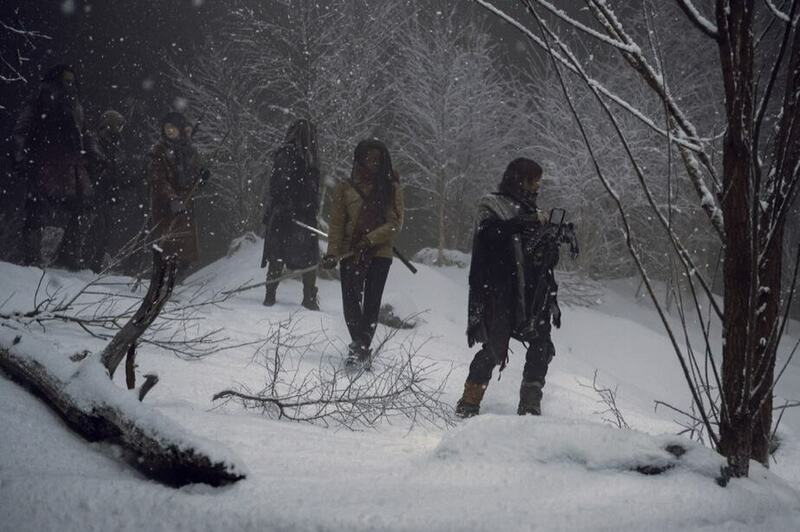 It is only by accepting others that they are saved (Lydia, Negan) and only by working together that obstacles (such as the bitter storm) can be overcome. 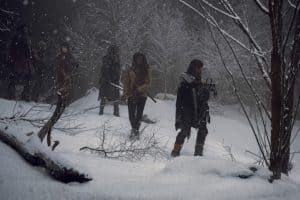 It is to Michonne’s credit that she now realizes this, and understands that had she stayed in contact with Hilltop and the Kingdom, and helped them, they might all be stronger as a group now. Her observation that Alpha was able to infiltrate the Fair because they simply didn’t know each other is a powerful one, and something that may continue to haunt her next season. In all of this, the only ones sitting pretty were the Whisperers, who, with their nomadic lifestyle, had migrated south with the approach of winter. This leads me to wonder why they would even bother to come back. 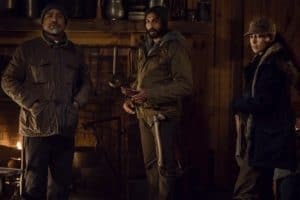 It is clear that they were not in the Alexandria area first, as the route between the Sanctuary and Hilltop is one that both the Saviors and Team Rick traveled extensively in prior years, so ‘Whisperer Territory’ was not part of it before. Additionally, the Whisperers have now moved on, and have no logical reason to return, since they do not go back for those who fall. In any case, Lydia has rejected them. Alpha ‘won’ her encounter with Hilltop/Kingdom/Alexandria by creating her ‘border wall’. The only reason for her to return is for revenge. Based on the little we saw of her in this episode, that seems to be exactly what she has in mind, as she has Beta whipping her to prepare for ‘what comes next’. 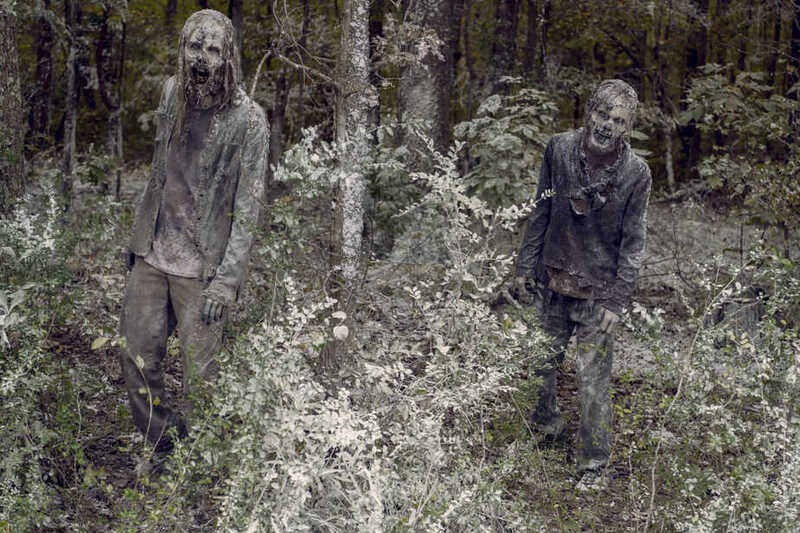 Certainly, Alpha and the Whisperers will be a big part of Season 10. 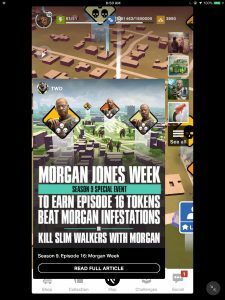 Of course, the last few seconds of the episode were also a setup for events to come. The radios rebuilt by Eugene aren’t only capable of contacting each other, but they can also be used by others to contact them. 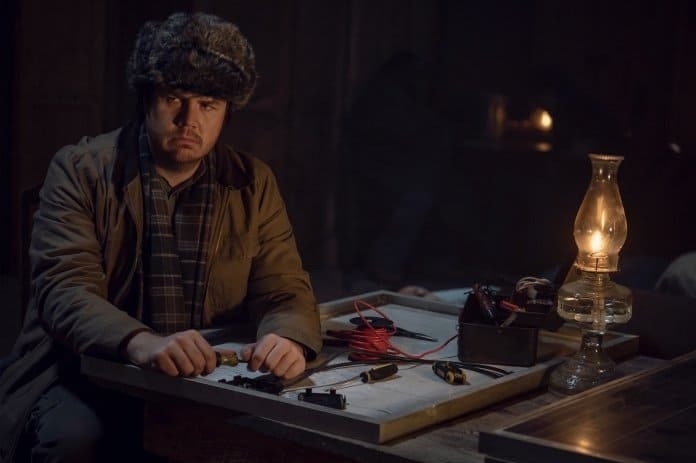 The voice coming out of the radio was eerily reminiscent of the Terminus broadcasts, luring in unsuspecting survivors to their trap. This more recent broadcast of, “Hello? Hello? Calling out live on the open air. Is anybody out there?” may be friendly, yet the possibility for danger should never be ignored. A lot of groundwork has been laid for season 10, and I am eager to see where the story goes. 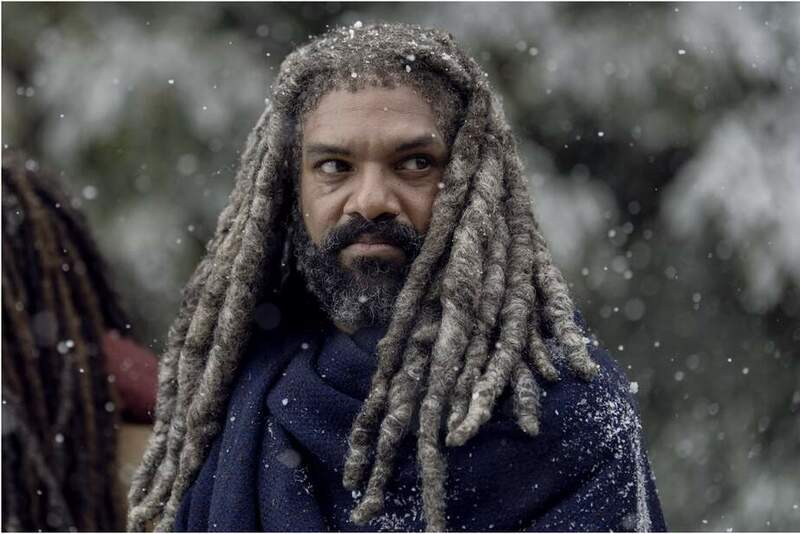 The showrunners have done an admirable job dealing with the loss of multiple major characters, yet still keeping the storyline interesting and compelling. This being said, I found this episode disappointing as a season finale. Episode 915, with the shocking reveal of Alpha’s border wall, had a much more visceral feel to it, and would have been an excellent way to end the season. Instead, viewers are left with this episode, which in comparison was calmer, dealing with personal drama rather than ‘big reveals’. In my opinion, episode 915 would have made a better finale, and 916 would have made a good season opener. It just seems like such an odd way to end the season. 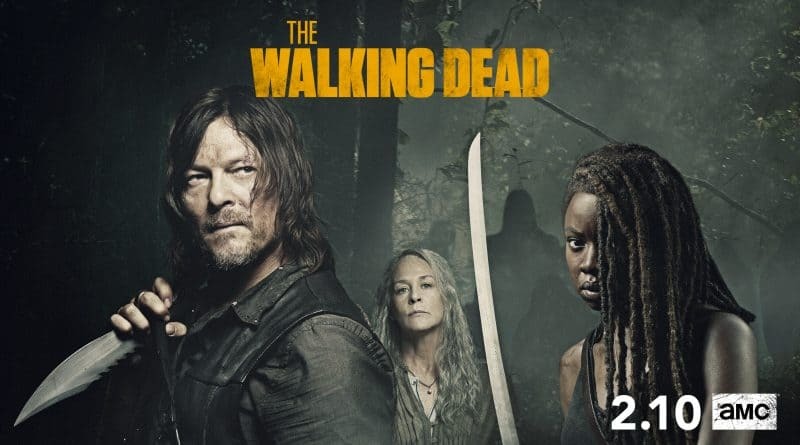 Regardless, the program as a whole is still compelling television, and I am excited to see what happens when The Walking Dead returns this fall. 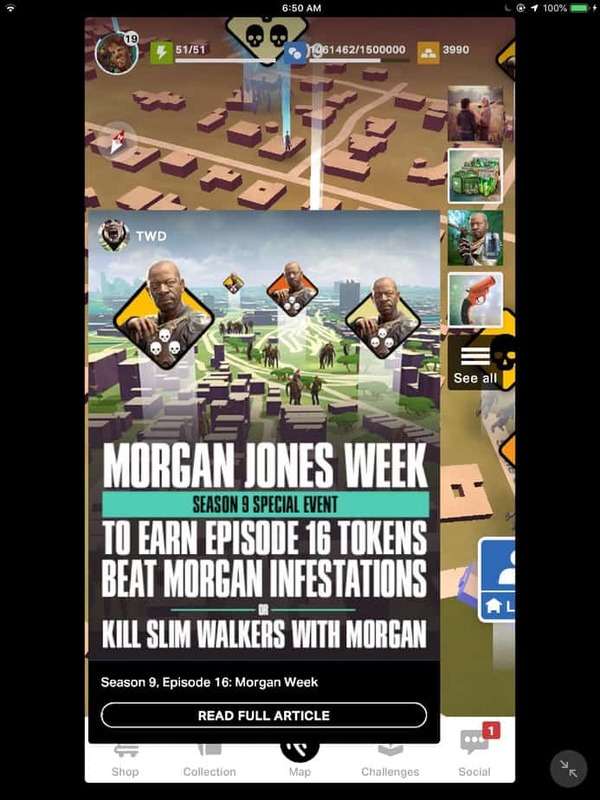 For those who play the AMC Walking Dead mobile games, this week’s Our World salute to ‘iconic heroes’ features Morgan, while the No Man’s Land season mission shows Ezekiel, Michonne and Aaron moving slowly across the frozen lake as icy walkers emerge from underneath the snow.